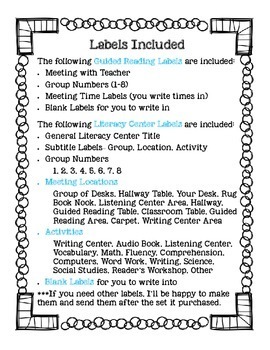 These colorful Guided Reading and Literacy Center Labels will help your students get organized and right to work. 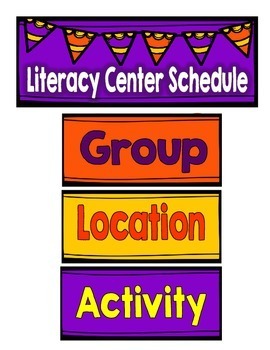 This set of board labels tells students where to go every day during guided reading and literacy center time. Waste no instructional time explaining to students where to go. Once they learn how to read the schedule, hopefully they will independently go to where they are supposed to at the correct time. 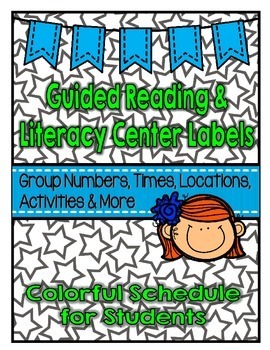 ****Labels are color coded so that all group labels, location labels. and activity labels are the same color, etc. 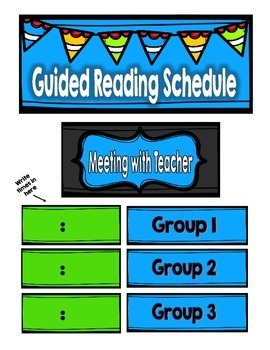 I laminate and put magnets on the back of my labels and leave them on the board so students can easily determine where to go every day during our reading block.